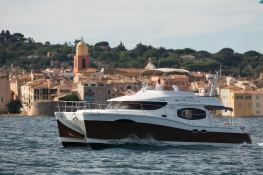 This catamaran Summerland 40 is the ideal boat to navigate the coast of Corsica in peace and comfort. 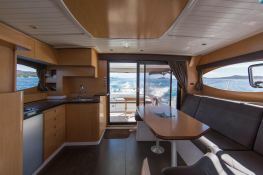 Located in Calvi, Corsica, this bareboat motoryacht Summerland 40 (3 double cabins), built in 2012 by Fountaine Pajot, is capable of hosting up to 8 passengers and reaches a speed of 15 knots. 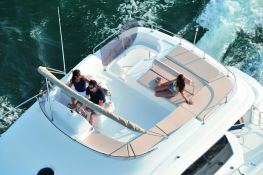 For a complete motoryacht charter journey, Summerland 40 comes with 2x220 Hp engines. 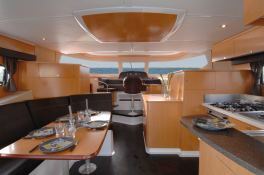 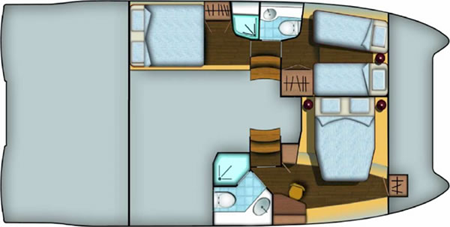 This motoryacht is available for bareboat charter with a base price of 4 800 € (approximatly 5 413 $).